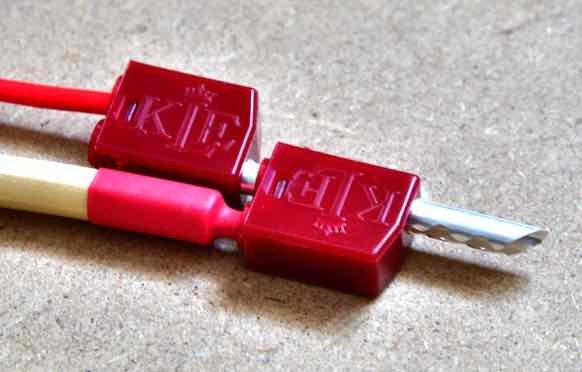 After what seemed like an extraordinarily long R & D effort, KLE Innovations has released the long awaited KLEI™Classic Harmony Banana Plug/Connector & Adaptor . KL had “hinted” a while back that these connectors were in the development stage. Well, as with all things designed by Keith Louie Eichmann, attention to detail is paramount and this “philosophy” is evident by close inspection of these banana plugs with the housing removed. The design utilizes a double barrel design, with one barrel being just under half the length of the second barrel. 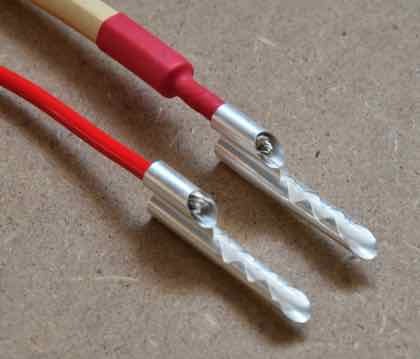 The shorter of the two barrels is normally used to attach the cable (up to 4mm in diameter). There is a small shoulder half way down the longer barrel of the plug, allowing for a second Banana to be inserted into the rear of that barrel. 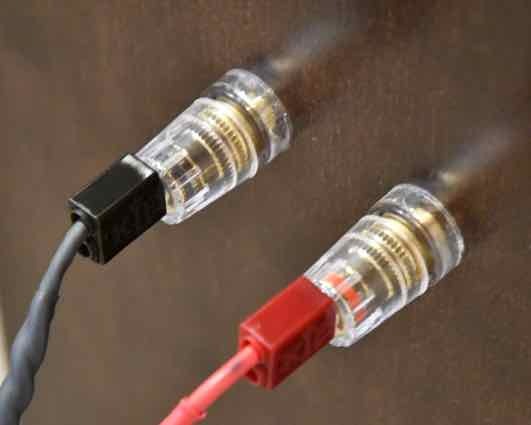 This allows for the “stacking” of plugs - a very convenient feature for attaching jumpers on speakers with bi-wire terminals while using a single-run speaker cable. 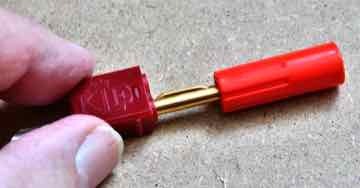 The shorter barrel can also be used to attach a second banana plug (provided a cable has not been attached), which is a very convenient feature for temporarily connecting a set of bi-wire cables to a speaker having only two connecting terminals. This feature prevents the plugs on the second cable run from flapping around waiting to “short out”. In this scenario the plug is acting more as an adapter. So what else makes this plug so special? they have perfectly round spring pins - most spring pins are not completely round which allows air gaps that may be prone to micro-arcing. they fit into all of the banana terminals I have tried with an “unforced snugness" that grips the speaker and amp terminals securely, which is probably due more to the ‘friction element’ of the snug fit, rather than the amount of spring in the clip. 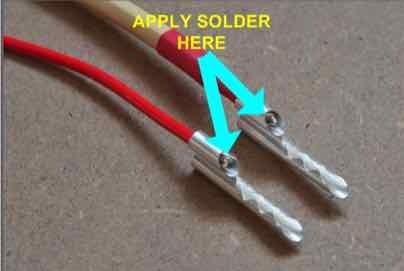 they are very simple to connect to cables using solder and removal is also very easy should you want to try them on a different cables. Having the second barrel to connect the wire to makes it almost impossible to run solder into/onto the “business end” of the plug - something other manufacturers should consider. KLE Innovations states the bananas can be crimped, but that's not something I would personally try with my crimping tool - I’ve tried crimping spring style bananas in the past and the result was less than satisfactory. 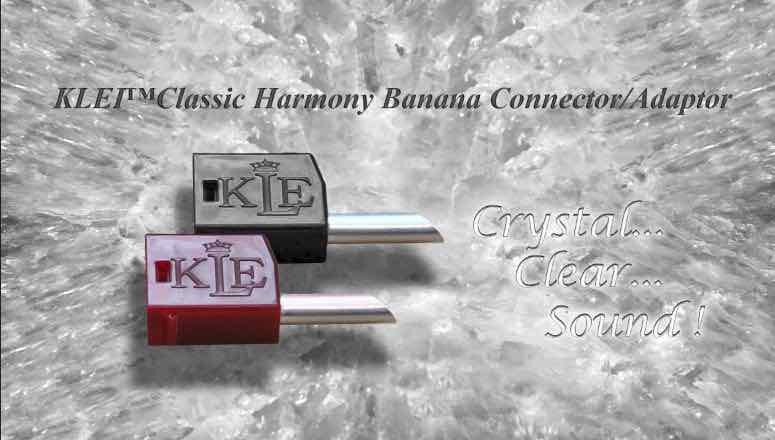 The KLEITMClassic Harmony Banana Plug/Connector & Adaptor, like other KLE Innovations products, are silver finished, not Gold or Rhodium, which is a feature some people could consider less than optimum due to its tendency to tarnish over time. I have been using KLE Innovations connectors (RCA’s and Bananas) for close to 4 years and I am yet to see any sign of tarnish under normal use, i.e., household humidity between 40% - 65%. Any other finish will impact the overall IACS rating, which will degrade performance. remove the plastic outer housing from the plug. Strip 4-5 mm of the insulation from the speaker wire. “tin” the bare wire with solder - i recommend WBT (4% silver solder), ‘Wonder Solder’ or equivalent. 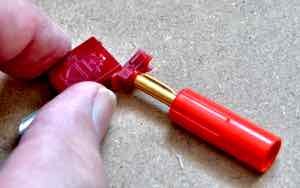 insert the wire into the shorter of the two barrels ensuring the tinned end comes to the angled end of the shorter barrel. solder the wire in place by applying solder at the angled end of the shorter barrel and leave to cool down. re-insert the banana into the plastic housing - Note: it only fits one way. fold the small plastic door into place and press and ensure the locking tags click into place - VOILA! Being a proponent of “Less is More”, I leave insulation on the wire such that it too will be inserted into the barrel as well, which effectively prevents the the solder from filling up the barrel. In the case where a thicker wire is used, I remove enough insulation so that the flap on the housing can close, but I add a piece of heat-shrink to prevent the the solder from filling up the barrel and insulate the exposed conductor. How do I remove the plastic plug housing once the flap is closed? I recommend that you use an old Banana Plug to do this and NOT another KLEITMClassic Harmony Banana Plug/Connector & Adaptor. What if the plug slips out of the Binding Post? 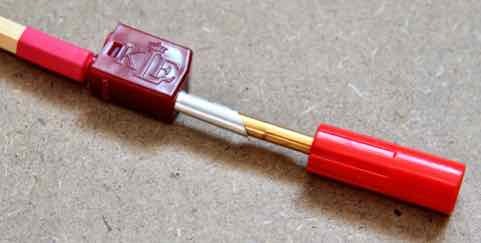 Since binding posts do not adhere to a strict “standard size” for the hole, the fit of the KLEI Banana Plug may not be snug enough to prevent the weight of the cable from pulling the plug out. PLEASE NOTE: you want a snug fit, i.e., the plug can easily be inserted into the Binding post. Rotating the KLEITMClassic Harmony Banana Plug/Connector & Adaptor while inserting it is NOT recommended under any circumstances. So, How do They sound? The package the plugs arrive in states that the KLEI™Classic Harmony Banana Plug/Connector & Adaptor will require a 125 hour burn-in period to sound their best! But if your experience is anything like mine, they will improve your sound immediately. and then continue to get better over time. I have observed throughout the reviews I have conducted that any improvements observed can be impacted by the quality of the components and cables that a newly installed piece of equipment or connector is connected to. In plain language - installing these Bananas on lamp cord speaker cables purchased at the local hardware store will probably NOT dramatically improve the sound of your system! 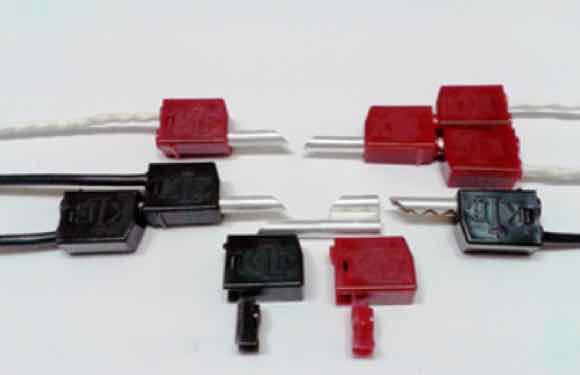 However, these connectors are capable of conveying details to an extremely high level of resolution and as such should be installed on cables of a similar resolution capability. I was very surprised to hear an immediate discernible improvement across the board, since many products, regardless of brand, normally require a little time before they start to “step up to the plate”. It was one of those moments when you turn on the system and start streaming content from internet radio stations to begin the burn-in process, only to be “persuaded” to switch over to a source of a higher quality because of “something” very interesting you have heard. That “something” was - outstanding clarity! a larger, more well defined 3D image with more precision in instrument/performer placement and isolation. a faster dynamic performance across the board, resulting in more sparkle at the top end and more texture in the mid and bottom end. Classical recordings tended to demonstrate the extraordinary imaging the KLEI™Classic Harmony Banana Plug/Connector & Adaptors are capable of, simply by providing superb isolated placement of violin/viola/cello/double bass across a very wide image, combined with placement front to back of strings/woodwind/brass and percussion sections to such an extent that left me feeling I was actually sitting in the concert hall. The presentation of Is This Love by Bob Marley seemed as cavernous as a large stadium. But Could the KLEI™Classic Harmony Banana Connector/Adaptor improve more with burn-in? In short - very much so! The album that had some of the greatest impact was “The best of Dire Straits & Mark Knopfler, Private Investigations” - a nicely engineered double LP set on heavier vinyl. The superb clarity and detailing on Sultans of Swing made for a mesmerizing listening experience. The dynamics of Mark Knopfler’s guitar work on Money for Nothing were perhaps the fastest I had heard. Yet the soft textures of his voice on Brothers in Arms was ethereal. Jethro Tull’s - Songs From The Wood and The Steeleye Span Story had always sounded quite shrill, so I was expecting an even brighter performance. However, the harshness of both of these albums seemed to be tamed and the music had much more body and depth without sacrificing the very crisp dynamics. In the opening scene of the movie I Robot - Will Smith plays this track on a futuristic audio system. Of course, with the enhanced sound engineering and Dolby Surround Sound cranked up - it sounds incredible! So I figured that it might be a good track to truly test the abilities of the KLEI™Classic Harmony Banana Plug/Connector & Adaptors. The reproduction of sound from this old piece of vinyl was spectacular - a crisp, fast, full bodied, deep, clear listening experience. This album, a favourite for years, seemed like it had been completely re-mastered. One last album where the KLEI™Classic Harmony Banana Plug/Connector & Adaptors delivered an outstanding performance is a TACET recording of Paul Florin (violin) playing Partitas by Johann Sebastian Bach. This album demonstrated just how much “space” these connectors are able to convey. I was transported into the church where the recording was made. reflections bouncing from wall to ceiling to wall getting fainter with each reflection. Just me and Paul Florin - an experience I am now able to re-live again and again. I could go on dissecting and analyzing each album in my library , since it was as though the KLEI™Classic Harmony Banana Plug/Connector & Adaptor had re-mastered every piece of vinyl. Classical albums best demonstrated their ability to cast a very large image in 3 dimensions. Jazz vocals conveyed superbly soft velvety tones. Pipe organ music demonstrated the amazing control the amp now had over the speakers with superb dynamic textures across the entire frequency range. Pop and rock albums served up dynamic drums and crisp bass lines like never before. Not to be left on the side lines, one of the nicest improvements was the very analogue presentation now produced by my Bluesound Node 2 digital streamer, since all traces of “digital” had now been vanquished, leaving only an extremely enjoyable listening experience. Should I have expected anything less? Perhaps not, especially considering my prior experiences with other products from KLE Innovations that I have reviewed over the years, that have proven every single time to provide outstanding improvements in sound quality. But all this from a little Banana plug soldered onto the end of my speaker wires? - really? it’s fabricated from high tech modern day materials whose metallurgy is a closely guarded secret. it’s designed to exacting specifications. it’s manufactured to extreme engineering tolerances. The “F22 Raptor” of Banana plugs! Much like the Harmony RCA Connectors also designed by Keith Louie Eichmann, the KLEI™Classic Harmony Banana Plug/Connector & Adaptor is capable of much more than simply holding a cable in a hole. It will revolutionize the Banana Plug, just as the Harmony RCA Connectors have revolutionized RCA plugs. The KLEI™Harmony Banana Plugs (Classic™Harmony and PureQ™Harmony bananas), are standard on the new KLEI™QSeries speaker cable models (QFLOW2/Classic, QFLOW3/PureQ, QFLOW7/PureQ, QPURITY8/PureQ SCs) but not on the current gZero and zPurity models. For the current gZero and zPurity speaker cable models you will probably be able to have them installed at additional cost – contact KLE Innovations before ordering. How can it be used as a “Connector & Adaptor” ? To this point I had only auditioned the KLEI™Classic Harmony Banana Plug/Connector & Adaptor as a simple banana plug installed onto my speaker cables. But as the name implies, the KLEI™Classic Harmony Banana Plug/Connector & Adaptor actually provides additional flexibility in areas where other “connectors” fall short. 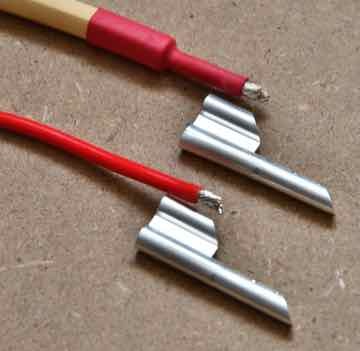 It is very simple to create quality bi-wire jumpers, to allow the use of single run speaker cables with loudspeakers that have bi-wired terminals, without having to “reconfigure” the actual cable in some way. The existing banana on the speaker cables can simply plug into the back of KLEI™Classic Harmony Banana Plug/Connector & Adaptor on the link itself. If you need to hook up a subwoofer via the loudspeaker terminals, the KLEI™Classic Harmony Banana Plug/Connector & Adaptor can be attached on the speaker cables and the subwoofer cables at the speaker for easy installation. Now, you might be thinking that “stacking” banana plugs for either of these scenarios could cause some degradation of the audio signal. After all, it is “generally accepted” that sound quality improves when there are fewer “interfaces” in the electrical path. Adding interfaces is bound to degrade performance to some degree? it can actually improve sound quality when used as a simple “interface” between the binding post of an amplifier or loudspeaker and the existing banana plugs on a speaker cable. That was my (initial) reaction! adding a banana plug “interface” into the signal path improve sound quality? One at each end of the speaker cable! But when Keith Louie Eichman (KL), requested I audition the KLEI™Classic Harmony Banana Plug/Connector & Adaptor as in this very scenario, and “hinted at the possibility”, OK “strongly inferred”, that I would hear discernible improvements, let’s just say there was “some degree” of ambivalence - on my part. So, setting aside my ambivalence, I installed a new set of the KLEI™Classic Harmony Banana Plug/Connector & Adaptor’s into the binding posts of my speakers and amplifier, that are part of my Audio/Video system, and listened to them throughout the burn-in process. The connected components of my A/V system is a Bluesound PowerNode 2 digital streamer/amplifier and Tannoy Mercury Fusion 4 tower speakers. Not perhaps the highest resolving components out there, but solid performers that punches above their “weight-class” due to the installation some many months ago of high performance power and speaker cables. The existing bananas on my cables are of the tubular spring variety and silver plated. Initially, I was unable to discern any immediate improvements, but then again, there was no sign of sound quality degradation either. For me, most developments in the world of Audio/Hi-fi have a rational explanation e.g. why one amplifier sounds better than another - better power supplies, capacitors, etc. 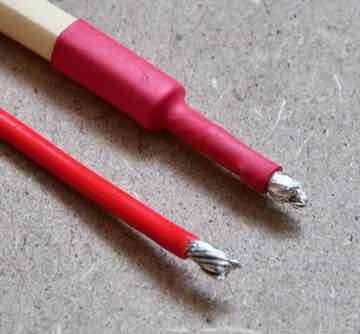 why one cable sounds better than another - better materials and geometries etc. 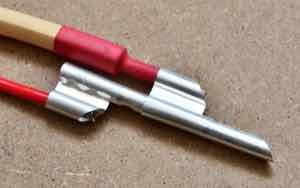 why one connector sounds better than another - better materials, better clamping etc. But why the KLEI™Classic Harmony Banana Plug/Connector & Adaptor improves the sound of existing cables/bananas has left me without explanation and KL has not offered any insight, other than to say it is due to his proprietary formulation and advanced manufacturing processes. If I were asked, prior to performing this audition, if I thought a “connector” could improve sound quality when used in this manner - I would have said NO! Now - I have a very different opinion. Would I recommend using KLEI™Classic Harmony Banana Plug/Connector & Adaptor’s in this manner as a simple “adapter” ? For me, this audition has proven that using the KLEI™Classic Harmony Banana Plug/Connector & Adaptor for bi-wire applications, such as those above, is without any risk of degrading sound quality and would in all likelihood would prove beneficial. So, as it turns out the name of this banana is actually very well suited. It took a while to bring the KLEI™Classic Harmony Banana Plug/Connector & Adaptor to market but, I have to award kudos, to Keith Louie Eichmann and his team - for taking their time to “get it right”. The KLEI™Classic Harmony Banana Plug/Connector & Adaptor appears to allow every detail and nuance of the recording to be conveyed with amazing clarity and dexterity - something I have not observed to this level in any similar product. They really are - THE Banana Plug you want at the end of your speaker cables ! I give them my “Best Bang For The Buck” award. NAIM 5i integrated amp (with passive pre-section). DIY Power Cables - The "POWER HELIX"
DIY Interconnect Cables - The "Helix Mark V"